The Fairfax County Department of Transportation (FCDOT) is seeking public input on the Fairfax Connector in the Herndon-Reston area as it looks toward improvements for the local bus service. Future recommended improvements will also consider connecting the planned Metrorail Silver Line Phase 2 stations in Herndon and Reston, according to the county. Ultimately, FCDOT aims to increase mobility and schedule reliability, create better access to destinations, improve travel times and grow ridership. Over the next few weeks, Fairfax Connector staff will hand out information about how locals can get engaged and provide input, along with “free ride coupons” for use on all Fairfax Connector buses in the Herndon-Reston area. mailing comments to 4050 Legato Road, Suite 400 in Fairfax, Va.
FCDOT will hold two interactive community meetings with interactive exercises to explore travel needs, issues and ideas. The first one is scheduled to take place at the RCC Lake Anne’s Jo Ann Rose Gallery (1609-A Washington Plaza) from 10 a.m. to noon on Saturday, Jan. 26. The second one is set to take place at the Herndon Middle School’s cafeteria (901 Locust Street) from 6 p.m. to 8 p.m. on Tuesday, Jan. 29. People have until Feb. 15 to provide public input. After the deadline, FCDOT staff will compile the comments to incorporate into future planning. FCDOT will then come back to the community in the spring to hold more community meetings to present and discuss a draft plan for future improvements for the service area. 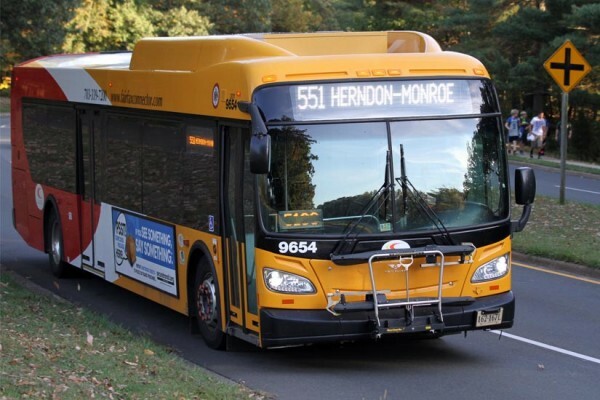 The move to improve the bus service comes just a month after changes to the bus schedule were announced to make it easier for Herndon High School students to catch a ride were unveiled. Starting on Saturday (Jan. 19), Routes 924 and 926 will be adjusted to align with the school’s bell schedule and provide better access for Herndon High School students.